Following on from the successful meetings in 2012 (Birmingham) and 2013 (Baltimore), we are pleased to invite you to the Third International Conference on Fetal Growth in Oxford, 1-3 October 2014. Fetal growth remains at the centre of concern for all professionals in maternity care. Increasingly, it is identified also as a patient safety issue which has not only significant clinical but also public health and resource implications. Many uncertainties remain about how to provide the appopriate level of surveillance, how to manage the pregnancy at risk, and how to achieve the best possible outcome. New protocols and guidelines are emerging, and new research questions are arising as we focus on areas where scientific knowledge is still lacking. 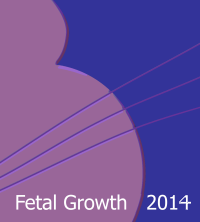 Fetal Growth 2014 is convened by the Perinatal Institute, again with the help of an international organising committee and a high profile Faculty. The meeting promises to provide comprehensive updates of the latest evidence, and a forum in which to discuss implications for clinical practice, audit and further research. 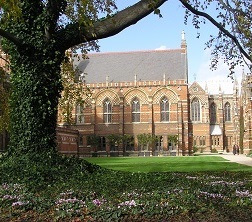 The venue this time is the highly recommended Keble College in Oxford, with excellent facilities for the scientific and social programmes. We hope you will be able to join us, and look forward to welcoming you to FG14!